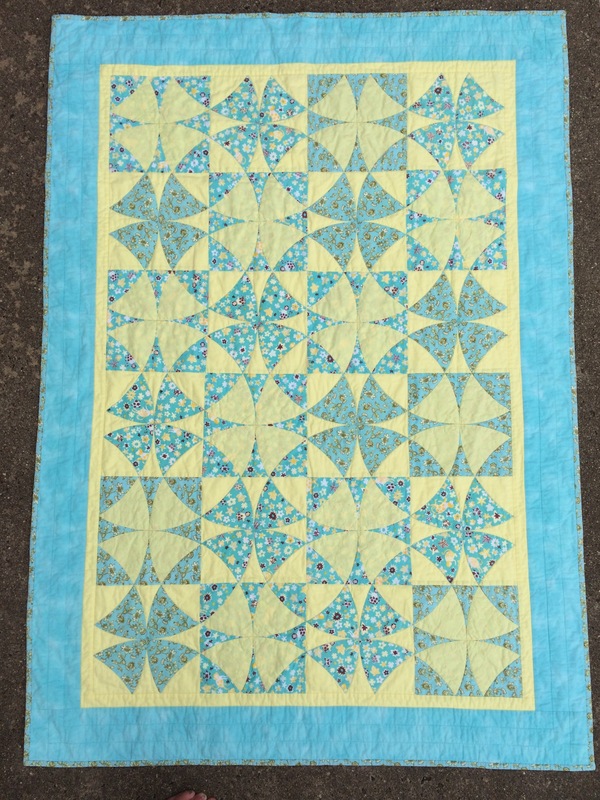 My last post was about raw edge applique and to continue on that subject I would like to show you a Winding Ways Quilt that I made in 2011 for one of my girls. It’s lucky I put labels on my quilts, I wouldn’t remember otherwise. 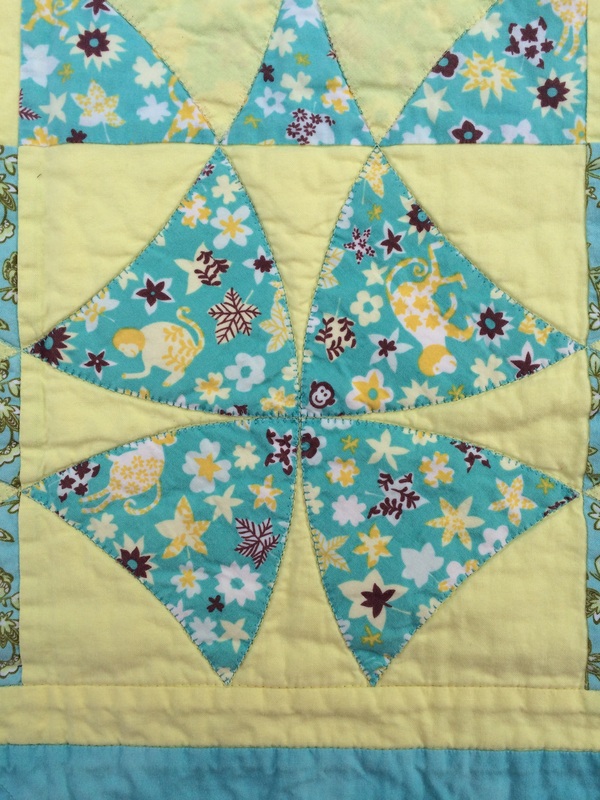 I used an 8″ template set and started out piecing the quilt. It was very time consuming and didn’t look as nice as I wanted it to look. 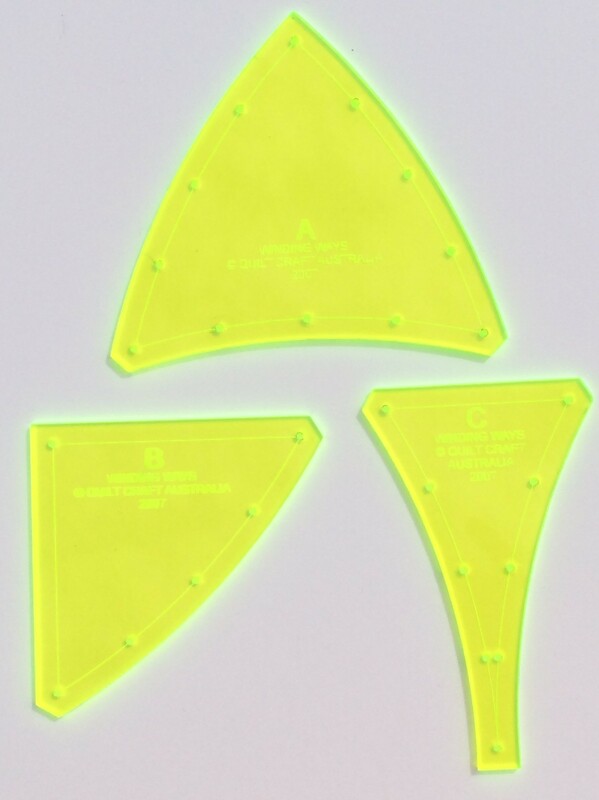 So I decided to applique the four “triangles” (template A) on a 8 1/2″ background block and alternating the two colours. I used fusible web and a machine blanket stitch. I think it turned out alright. What do you think?